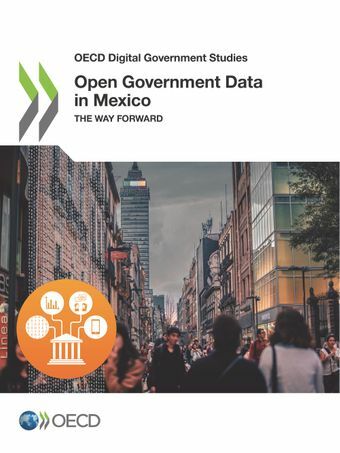 This report analyses the progresses made by Mexico in implementing the recommendations of the OECD 2016 Open Government Data Review. It identifies areas for further improvement and proposes a set of policy recommendations in areas such as institutional governance, strategic leadership, policy ownership, monitoring and reporting, and digital skills. The report underscores how open data policy can contribute to government priorities such as anti-corruption and social inclusion, and government’s crucial role in creating the conditions and opportunities for innovation and collaboration. It also underlines the role that actors from the private and third-sector, journalists and the academia play in ensuring policy continuity and sustainability. Mexico ranks among the top 5 OECD countries in regard to the definition and implementation of open government data policies and initiatives as shown on the 2017 edition of the OECD Open, Useful and Reusable data (OURdata) Index. These achievements reflect an evolution in relation to the results of the 2014 pilot version of the OURdata Index, where Mexico ranked among the top 10 OECD countries. Mexico’s ranking results from the high-level political commitment shown by the Mexican government to spur the digital transformation of the public sector. This includes the connection of open government data efforts to broader policy goals such as public sector modernisation policies and anti-corruption reforms in the Country. These efforts should be sustained in the short term, with the support of a sound governance model, in order to ensure the sustainability of the open data policy in the long run. Strategic actions should draw upon the contribution of data as an strategic asset for a digitalised and data-driven public sector, data-driven business innovation, greater citizen engagement, enhanced public service delivery and increased public trust.